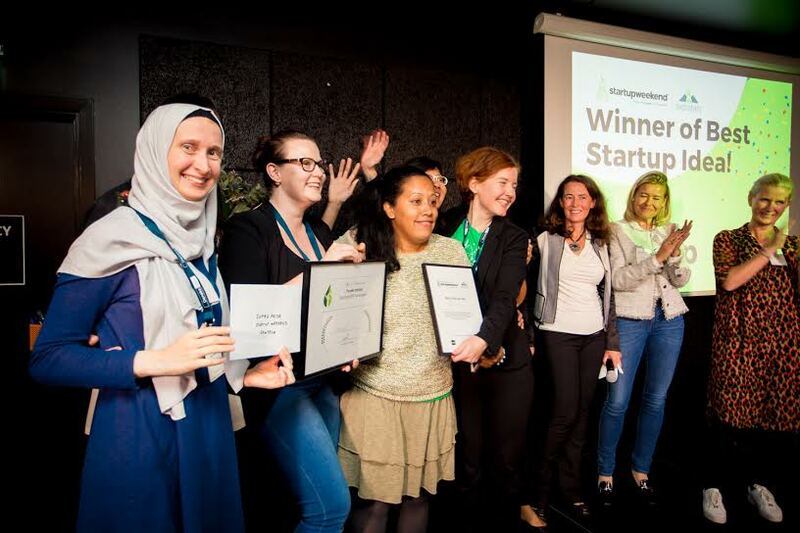 On the 8-10th of September we co-hosted Startup Weekend FemTech at SUP46 together with Danske Bank and TechStars Startup Weekend Stockholm. 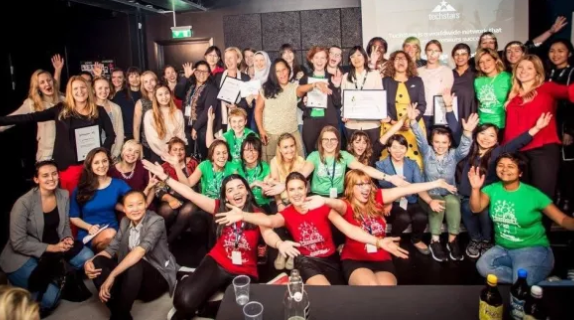 76 women with background in design/UX, business/marketing or programming were divided into teams and during the weekend developed their ideas into realities. Sunday was pitch day and the winning team, receiving a 3 month SUP46 Scholarship among other things, was MedSup Solution. More about their experience of the event below! How did you hear about the event and why did you decide to sign up? Johanna: I got an invitation from the SheSupp network. It seemed like a really interesting weekend so I signed up directly. I love to get inspiration from others and I have always had a dream of starting a company. Laura: I have been visiting other entrepreneurial events in Sthlm and got to know about Startup Weekend via my network. When I saw FemTech Startup weekend in Facebook, I just could not resist anymore to join! Nedine: I knew about FemTech on my Facebook feed because of several tech friends of mine ‘interested’ in the event. What was your impression of the event setup, mentors etc? Johanna: It was really well planned and everyone was so friendly. I am impressed by the way the mentors listened to our ideas and gave us feedback. It was a great help. Laura: Event was well planned, the atmosphere was really encouraging. It was a great help to have the mentors available! Lucija: It was very friendly, yet professional and the mentors we talked to gave us good feedback. Everything went smoothly. Nedine: The event was nicely planned and structured with a friendly atmosphere. The mentors we have talked to seem to be very knowledgeable and their inputs helped to shape our idea. How did the process and collaboration within your team go? Our group is great! Working together was the best thing this weekend. We started with mapping our areas of expertise, expectations for the weekend and establishing “us”. It was awesome to work with people with such different backgrounds. It is, of course, a challenge for working as well but I think even more it’s enabler for innovative problem-solving. What did you create and why? We are working on the possibility to reduce waste in the healthcare sector by optimizing the inventory management system. Waste is a big cost driver in many industries including healthcare and wasting resources which could be used is, of course, bad in terms of environmental impact as well. Will you continue working with this idea also after the event? Yes. The weekend gave us some additional “keys” to pursue our entrepreneurial journey. What are the most important take-aways you got from the weekend? Johanna: Being a part of this event was great and if you get the opportunity to attend – take it! You will meet great people and have a lot of fun. Lucija: It is always so fun to create and develop something from scratch, and the opportunity to be working with passionate people who have that certain drive, made this long working weekend a real pleasure and, I guess, a whole new start (up) for us! So, enjoy the process, but don’t lose focus and recognize the right opportunities when they come along. Nedine: Besides all the possibilities we got as the winner, the FemTech event have helped us to broaden our perspectives of entrepreneurship and it is also a great opportunity to meet fellow FemTech. I am so glad that I went to the FemTech Startup Weekend! I smile when I think about it! The next event in SUP46’s own event series SUP46 FemTech is hosted on Oct 3.